Southwest Florida’s water is worth fighting for — and celebrating. 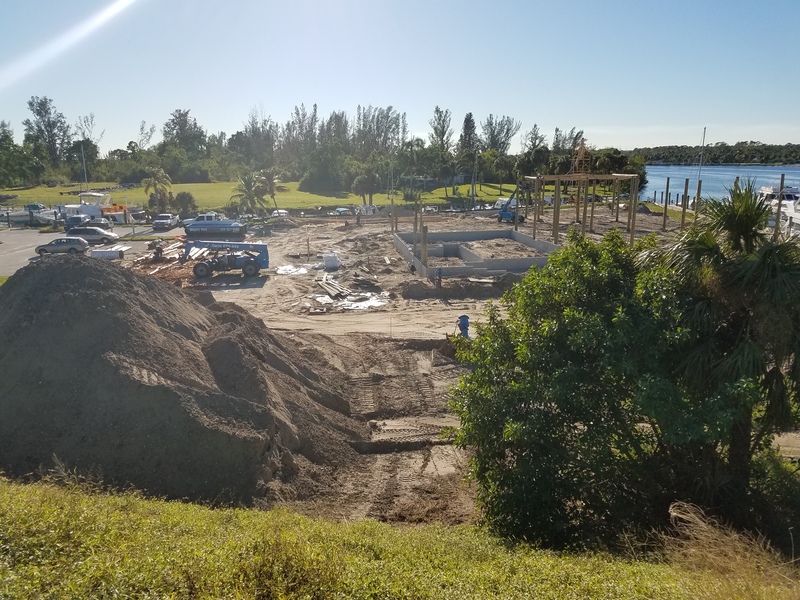 So, leading non-profit clean water advocacy group, Calusa Waterkeeper, has created The Big Calusa, a family-friendly, recreational, educational and cultural week-long festival and clean-up to reconnect our community in a positive way with all we love about our waterways. The Big Calusa begins on Earth Day, Monday, April 22, with the Calusa Kayakers Clean-Up Kick-Off Party at Millennial Brewing Company in Fort Myers from 5:30-8:30 p.m. Millennial Brewing plans to unveil a brew specially crafted for the event called “The Big Calusa” on tap at various venues all week. The Calusa Kayakers Clean-Up Kick-Off Party will feature musical entertainment, food trucks and sporting vendors to create a festival launch and sign up kayak racers and clean-up crews. That same day, The Big Calusa teams up with Keep Lee County Beautiful to initiate Calusa Clean-up, a comprehensive week-long effort to clean local waterways throughout the region, partnering with kayak outfitters, civic associations, home-owners associations, service groups, churches and schools. 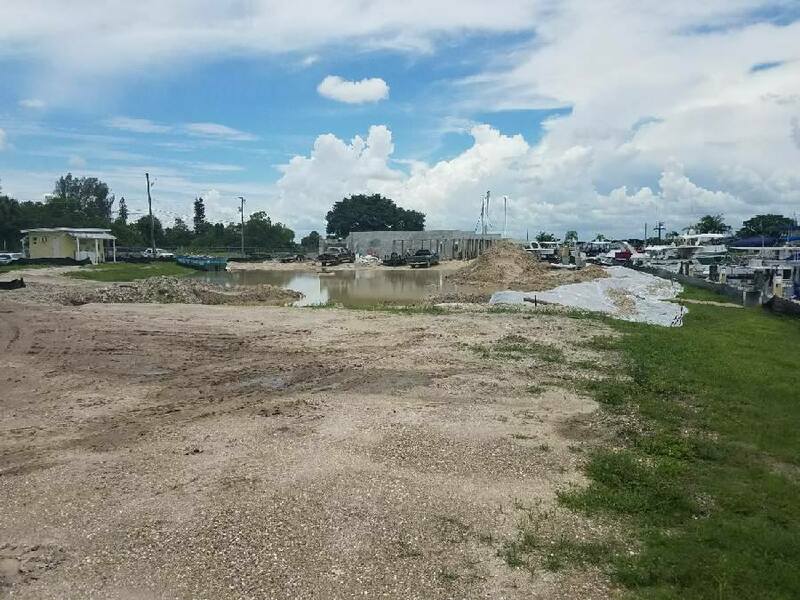 The person who cleans the most garbage out of waterways and posts photos to social media with the hashtag #calusacleanup will be celebrated as clean-up champion at the Big Calusa Awards. 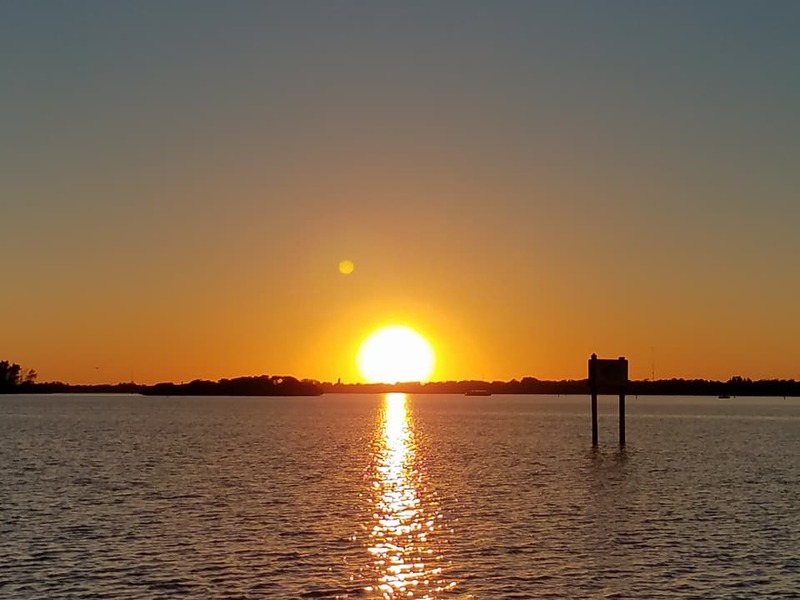 The brilliant history of Southwest Florida’s water takes center stage on Wednesday, April 24 for the Calusa Culture Night, which brings together storytellers, historians, artists and musicians at the Sidney & Berne Davis Art Center in Fort Myers. Doors open at 5:30 p.m. and the event starts at 6:30 p.m. Speakers include Woody Hanson, Ralph Woodring, Seminole Tribe Member Brian Zepeda, Cindy Bear from the Randell Research Center, Amy Bennett Williams, Bill Hammond and “Calusa Waterkeeper” John Cassani. As a backdrop for the speakers, there will be a Seminole dugout canoe on display along with water-themed works of art by prominent Naples-based painter, Paul Arsenault, and noted Sanibel artist, Myra Roberts. 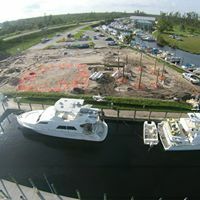 Music will be provided by electric acoustic duo, Roots 2 Vine, who will premiere a song written for the occasion called “The Big Calusa.” Tickets are available at the box office at (239) 333-1933 or at www.sbdac.com.Then, on Saturday, April 27, Calusa Waterkeeper plans a full day of recreation called Big Calusa Day with ACA-sanctioned kayak and paddleboard races starting at 8:30 a.m., then open to the public from 10:00 a.m. to 4:00 p.m. featuring sailboat rides, fossil hunting, mermaid tales and “The Little Toot” Magic Tugboat for kids, along with fishing and boating safety workshops, master naturalist ecotours, and more at North Shore Park along the Caloosahatchee River in North Fort Myers. 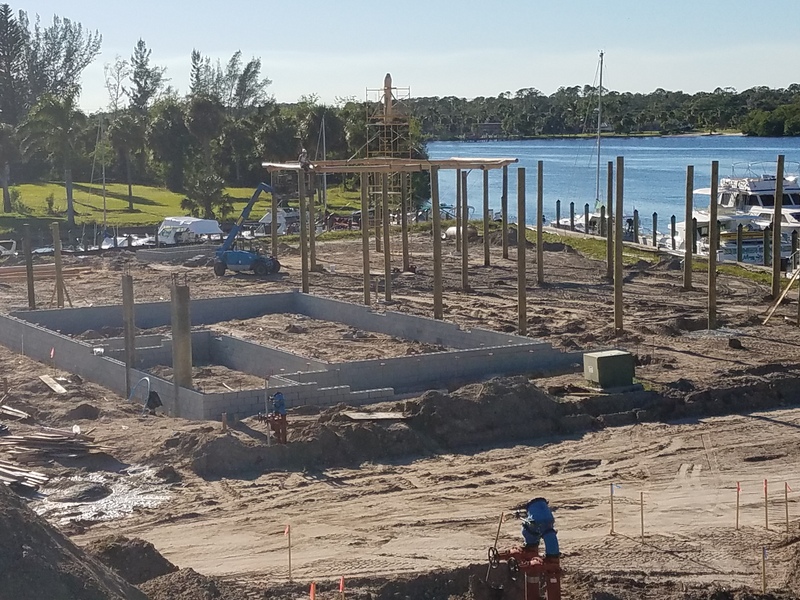 The week-long events culminate with the Big Calusa Awards Ceremony on Sunday, April 28 from 4:30-6:30 p.m., where Calusa clean-up champions, race-winners and local clean water heroes will be honored at the Edison and Ford Winter Estates. Newly appointed South Florida Water Management District Chairman and Sanibel favorite son, Chauncey Goss, will give the remarks at the awards ceremony. Sponsorship opportunities are available. Email Schulberg at [email protected] to find out how to get involved. 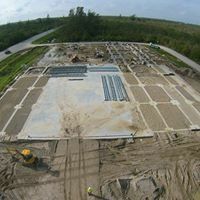 For the latest on The Big Calusa, go to www.calusawaterkeeper.org/bigcalusa or follow Calusa Waterkeeper on Facebook at facebook.com/calusawaterkeeper. 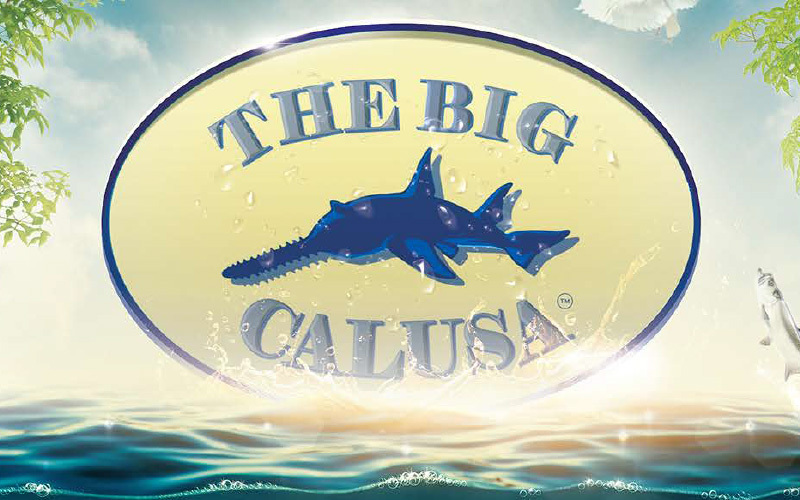 Big Calusa sponsors already include “Golden Sawfish” sponsors: Pinchers Marina at Edison Ford and Severus Foundation; “Silver Manatee” sponsors: Manatee Eco & River Tours, and CONRIC PR & Marketing; “Roseate Spoonbill” sponsors, Millennial Brewing, Captains for Clean Water, Kayak DIY, Three Fishermen Restaurant, Edison Sailing Center, Pure Florida, Metro Blinds, Keep Lee County Beautiful, Jensen’s Cottages and Marina, and Sydney & Berne Davis Arts Center; “Blue Heron” Sponsors: Edison & Ford Winter Estates, GAEA Guides, Charlotte Harbor National Estuary Program, Lee County Parks & Recreation Conservation 20/20, LightHawk Environmental Flights, CCRC; and Official Hotel Sponsor: Best Western Waterfront Hotel. Volunteers are welcome to participate throughout the week. Fill out a volunteer form at http://calusawaterkeeper.org/events/big-calusa/ or contact [email protected] for volunteer opportunities. A special THANK YOU to Danika J. Hopper for the article she wrote for the Caloosa Belle. 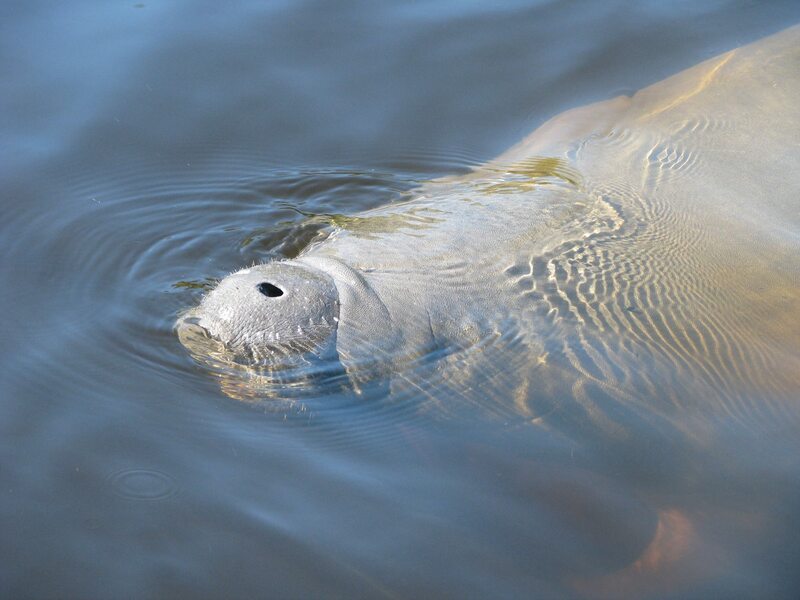 Manatee viewing within the Orange River and in and around the Caloosahatchee River is “typically” best between December and March. Did you know it is weather-dependent? Yes, that is true. As the Gulf of Mexico waters cool below 68 degrees Fahrenheit, the manatee will migrate to warmer waters. In Lee County, Florida, that means the spot they like to visit is the warm water outflow of the FPL plant located on the Caloosahatchee which pours into the Orange River and that’s where you will find us on the water observing these fantastic creatures! 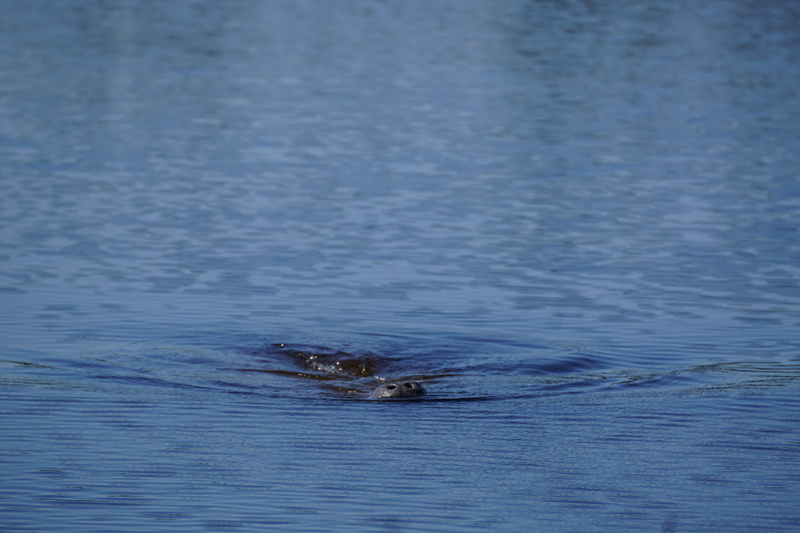 We have had a very warm couple of weeks this February (2019) and because of that, the Gulf is warming up and the manatee are moving out of the Orange River in search of food. 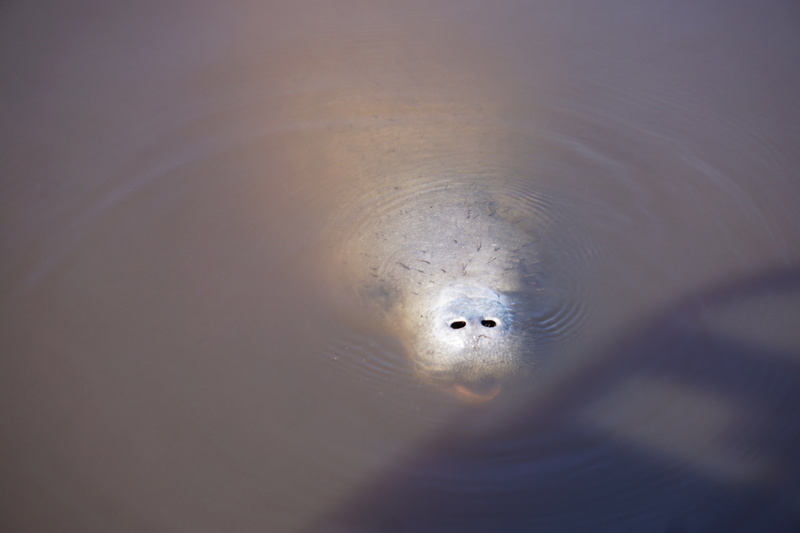 Sometimes, when it is cold for us and we’re wearing a coat and maybe cuddled up in a blanket that is being shared with us on board the M/V River Queen, we find it less than comfortable… however, that is usually a GREAT time to watch the manatee! What a neat trade-off, cuddling in a blanket watching these gentle giants in their natural environment. Tomorrow is Valentine’s Day and we have a full boat of guests scheduled. We cannot guarantee manatee, we do guarantee you will learn a lot about the river systems, the history of the area, about the manatee and hopefully see a few since it’s going to be chilly tonight. We will certainly provide a pleasant excursion with passion-filled, knowledgeable Master Captain and First Mate. We hope you will come to “LOVE” the manatee as much as we do! Those who have been on our tours are provided education about the manatee, the area of Lee County and Southwest Florida’s eco system…. making it more than just a boat ride! The importance of protecting the manatee and helping others to learn about and appreciate this wonderful creature is at the top of the list for why we got into the tour boat business. We have made an investment in our community, in the vessel in which we safely operate as well as the time and energy spent providing quality, fun and what we hope will be lasting memories for all on board. As we glide along the Orange River and come to rest for a fantastic observation, we quietly set an anchor and watch, listen and enjoy all that nature provides. 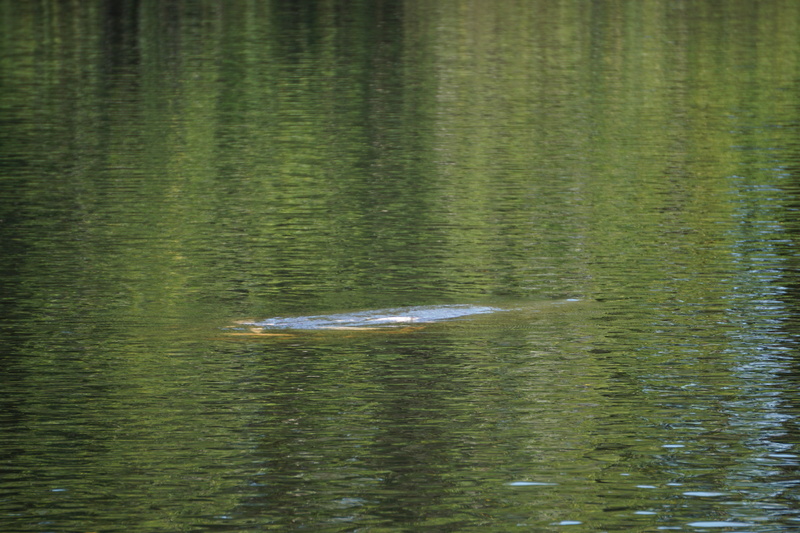 Manatees of all shapes and sizes can be seen, most with boat propeller scars. Guests will ask, why isn’t there a requirement that all boats have propeller guards (we do). And we provide an explanation. 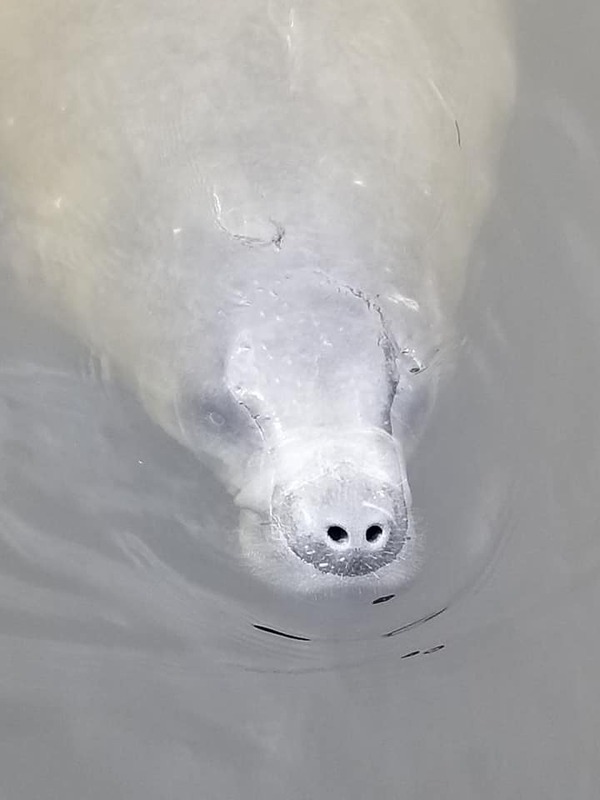 Earlier this week, we spent time at Crystal River, Florida and noticed that very few manatee’s had propeller scars, yet here in Lee County, it is often easier to count those who do NOT. How sad is that! Why does Lee County, Florida lead the state in the number of manatee propeller strikes and/or deaths due to a boat encounter? Why are so many people caught up in their own self-pleasure of going fast and disregarding slow speed zones as well as posted restrictions? Why do we witness people in kayaks smacking manatees in the head or along their body, not accidentally, on purpose. Why do some in kayaks and canoes take the line (rope) attached and try and lasso the manatee? Why do some feel the need to step out of their kayak and onto the back of a manatee? Yes, all things we have witnessed here in Lee County Florida within the Orange River. EDUCATION… encouragement to protect what we have before it is too late. Both crucial components to make a difference before the future generations miss out on the opportunity to enjoy these gentle giants. Several people have been asking how the manatees are doing in southwest Florida with all the red tide, blue-green algae issues. FWC (Florida Fish and Wildlife Conservation Commission) keeps track of the deaths of manatees across the State. At the time I am posting this (12/14/18) the last update from FWC was for January 1 – December 7, 2018 findings and they report a total of 207 manatee deaths related to red tide. 91 are positive with 116 as suspect. The numbers are preliminary. They detect the red tide and positive Brevetoxin by ELISA analysis in the stomach contents, liver, urine and other collected samples of deceased manatees. Overall, manatee deaths thus far in 2018 total 779 (between January 1 – December 7, 2018). In 2013, there was a record high of 799 manatee deaths across the State of Florida, with the main factor being an extreme cold snap in the area. Watercraft continues to be the leading cause of death, despite the posted manatee zones, Florida has a huge recreational boater opportunity. Many visitors to Florida love to rent a boat for the day and explore the area, however, not always familiar with the “rules of the road”, speed zones, and our wonderful wildlife that live within and along these precious waterways. We attempt to provide a safe tour opportunity for visitors to southwest Florida by taking them on the M/V River Queen that has dedicated propeller shields on each motor. We obey the speed zones and laws on the water and want to educate our guests about these really awesome creatures! Do I wish we could save the all? Absolutely! Is it realistic? No…. you can only do the best you can… one manatee at a time… educating one person at a time… and passing it along. Thank you for your interest in southwest Florida. Thank you for visiting the area. Thank you for your support. 2018 has been a very difficult year for everyone because of the water quality issues, decrease in activity due to the deaths of fish, turtles, manatee, whale sharks, dolphin, birds, etc. It wasn’t until recently when things began to calm down that we opened our scheduling again for tours. We will continue to educate and do our part to sustain the community and provide a hopefully enjoyable excursion when you’re on the M/V River Queen. We look forward to seeing you soon! 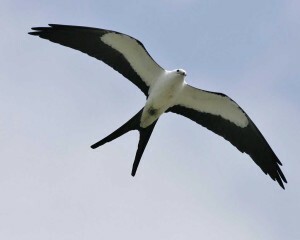 Southwest Florida relishes in the migration of Swallow-tailed kites from South America. They come to this area to breed around February-March and by the end of summer (August-September) head back. They are a bird of prey with a forked tail that is easy to distinguish. They appear to be suspended motionless in the air and glide, roll and occasionally flap their wings. They nest in tall trees in the open woodlands and prefer tall trees (pine or cypress). The diet on flying insects, frogs, lizards and other birds. Typically two eggs are laid with the female staying with them up into the first three weeks of hatching and then will take turns with the male seeking food and bringing it back for their young. The young take flight in about 5 to 6 weeks following their birth. We have seen several of these magnificent raptors, remember to look up! 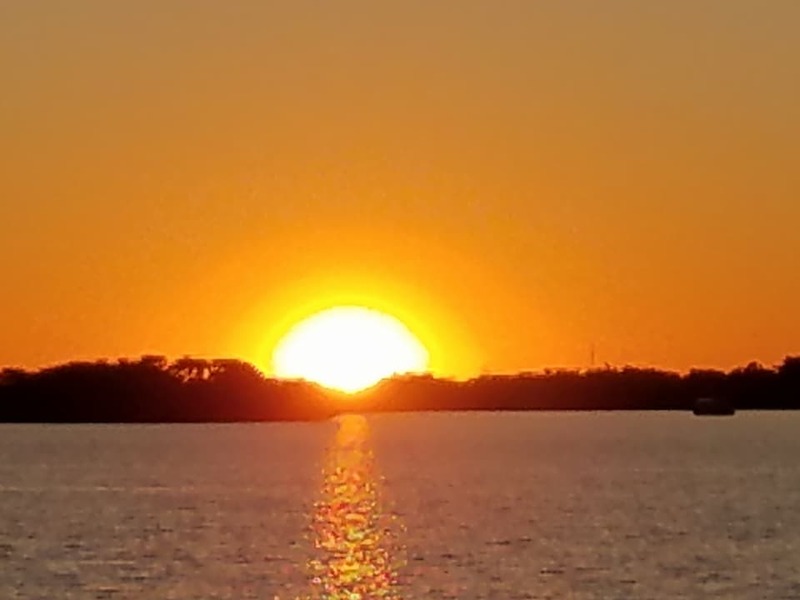 Sunsets in southwest Florida are fantastic and something to behold…. on the M/V River Queen, we enjoy the leisurely ride along the Caloosahatchee, admiring nature, enjoying a story or two. Recently, a nice group of folks joined us for a Saturday evening trip, they brought their own beverages on board and we surprised them with a few items to munch on. 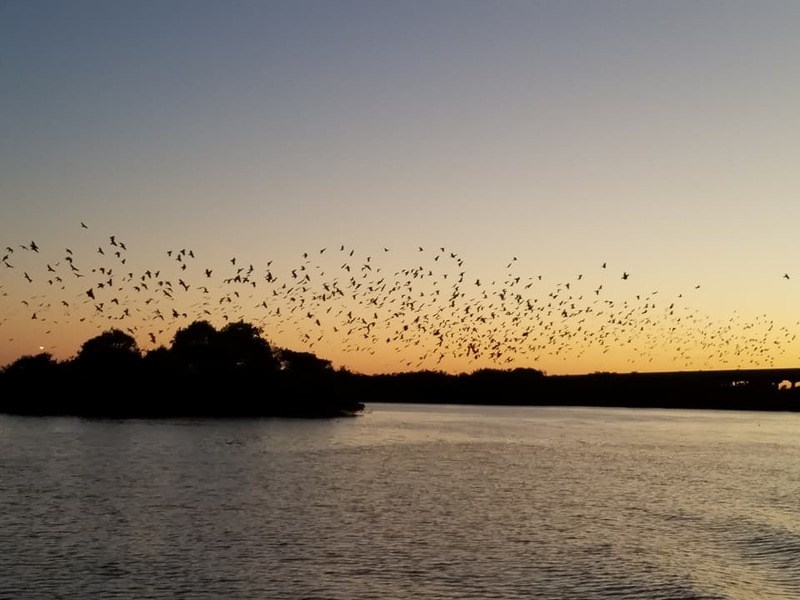 The sunset as you can see in the photo’s didn’t disappoint and the birds flocked to the mangrove island and provided a spectacular show as well. If you’d like to join us, give us a call, 239-693-1434. The Captain and I delight in sharing the knowledge we have obtained over the years about the Manatee, southwest Florida, the Caloosahatchee and Orange Rivers. What makes us unique as a tour boat business is the importance we place on providing an education to our guests, and of course, seeing a manatee as they migrate here when the water temperature turns colder in the Gulf of Mexico is neat too! We never know what we are going to see or experience on our trips which makes it even more fun! This year, we have added additional crew members to help provide the education. Two are current students at Florida Gulf Coast University (FGCU) and have an enthusiasm to share. Our third new crew member is also formerly with the Columbus Zoo and Aquarium and he too is excited to share his knowledge! 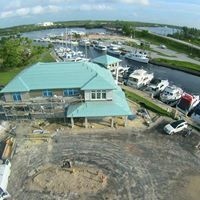 We are working on ways to enhance the ECO TOURS that are offered once the manatee move out of the area. So check back with us as our curricula grows! The weather has warmed up significantly over the past few days… and most people visiting southwest Florida are really happy about that! 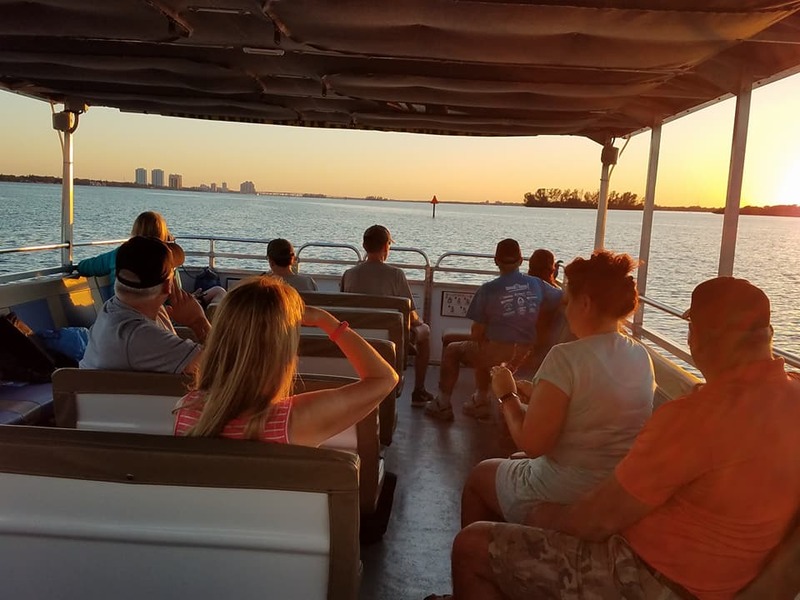 I love the sunshine and warmth myself.. however, the double-edged sword is when you operate a “MANATEE” tour business… and the manatee have moved out of the area… it is disappointing for us and for YOU our guests. 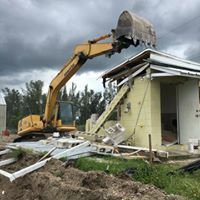 🙁 Good for the manatee, to have a food source to rely on in Pine Island Sound… sad for us because our tours operate in/around the Caloosahatchee and Orange River. So if anyone hears me say I’m praying for cold temperatures at night and for the Gulf waters to drop and stay below 70 degrees… you’ll understand why!! As the water temperature in the Gulf of Mexico cools to below 70 degrees, the manatees start to move into warmer waters. 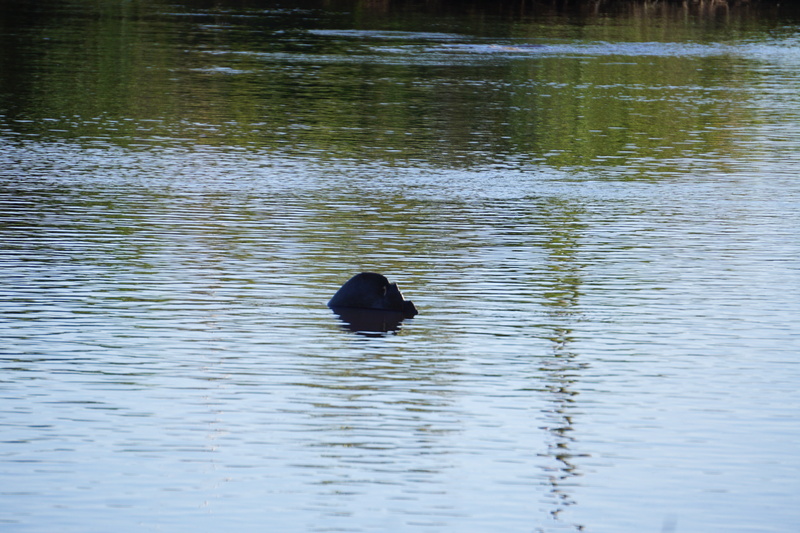 It is still early in the season, however, we are seeing manatees!! And they are so sweet. Little noses come up to the surface, nostrils open and they take a deep breath and then go about their merry way. 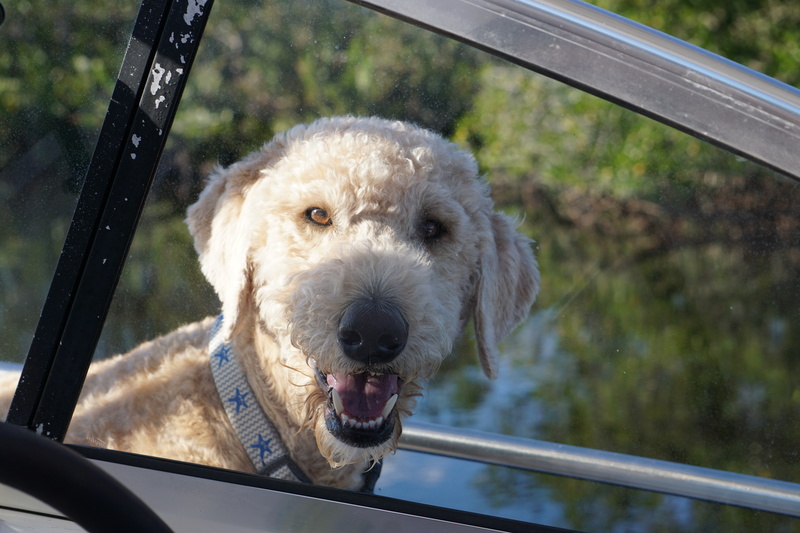 On Christmas Day, 2017, Captain John and I took the day off from touring and headed out in his personal vessel along with our two dogs, “Bella” and “Tiller” (Labradoodles). And where did we go? In search of manatees of course! A very lovely day, relaxing and full of positive experiences with these gentle giants. Tours are underway again and observations were plentiful. 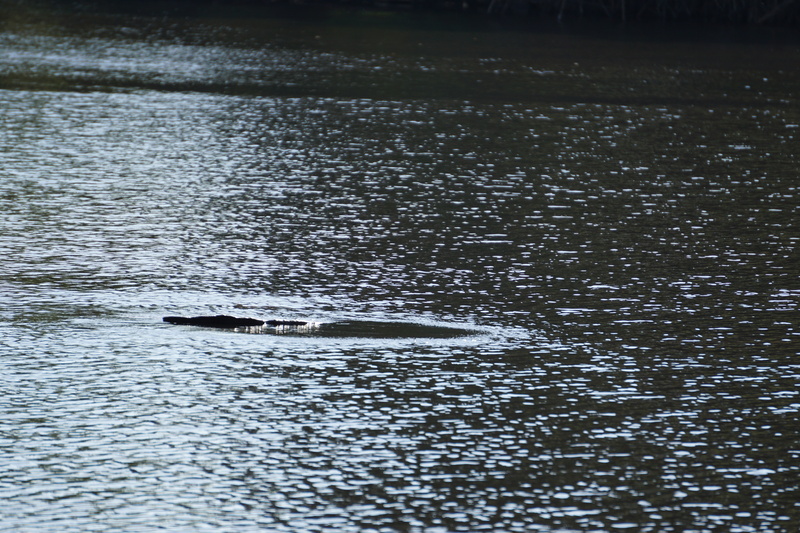 Although we don’t have hundreds in the waterway yet… we are enjoying those we see! Come join us. If you’ve been out with us before, you probably remember the parking lot near the bathrooms. 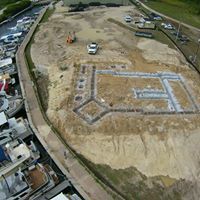 This is an aerial view of “SOME” of the construction that has been going on at Sweetwater Landing Marina! 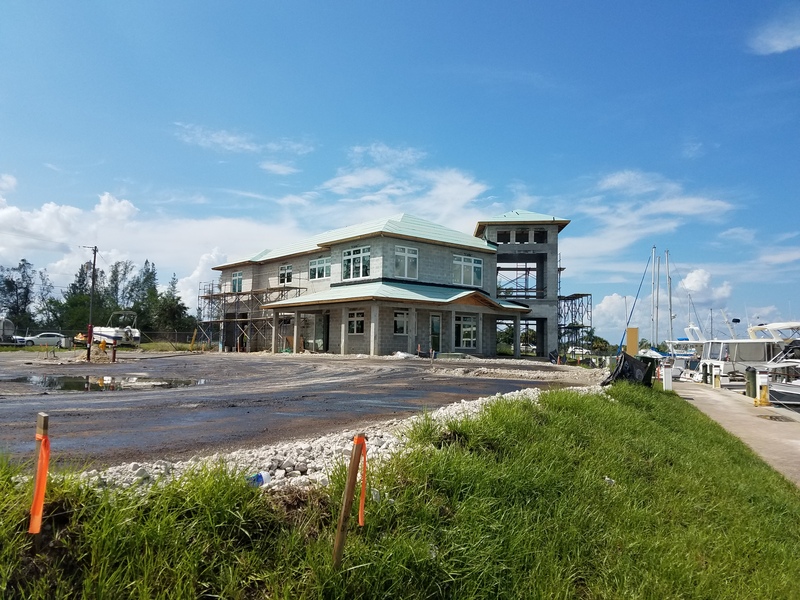 Progress is being made despite the rainy season, hurricane Irma, etc. We are excited to have the M/V River Queen back in the water and ready to resume river tours! Right now the water is still pretty warm and a “few” manatee’s have been seen in the Orange River. We will be offering Eco River Tours after Thanksgiving and as the Gulf of Mexico waters cool to below 70 degrees and the outside air temperature begins to drop, the manatee’s will migrate into the area and Manatee Tours will begin! In the meantime, check out a few of the pictures showing the changes! We are really excited for Brandon and the crew at Sweetwater as well as our guests who join us for excursions. 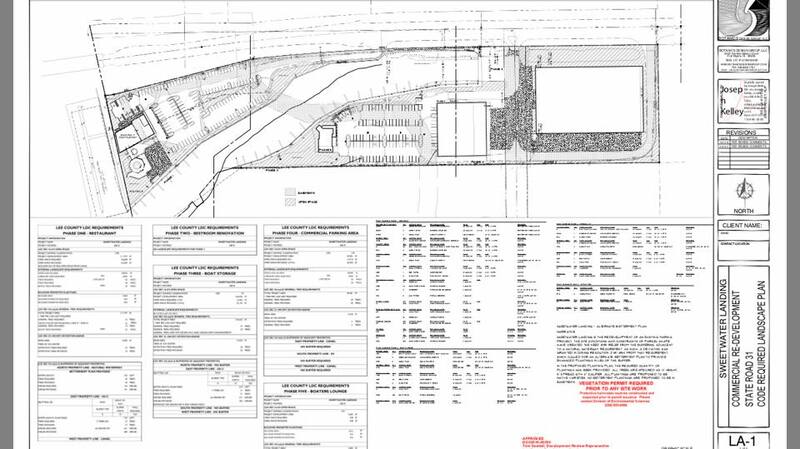 The new parking lot is scheduled to be paved on November 20, 2017 making parking available soon. 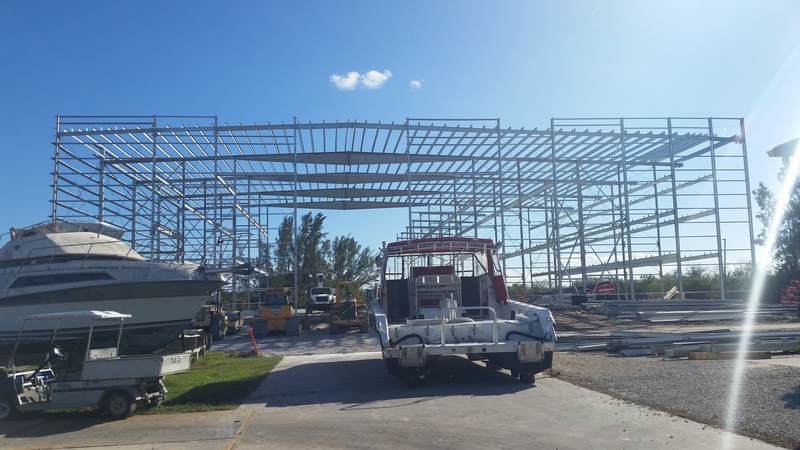 Additional boat storage building underway! Clearing the way for a restaurant, etc. MORE THAN JUST A BOAT RIDE! 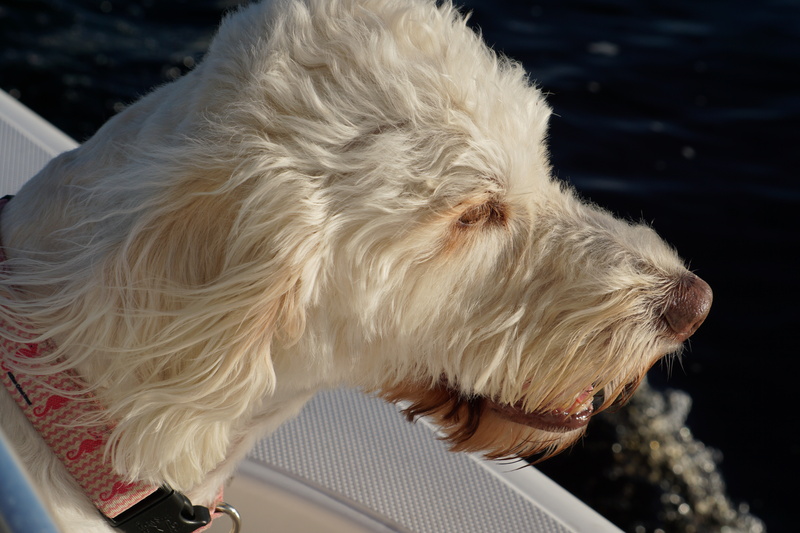 It’s a comfortable ride on an accessible, covered, and dog-friendly 40-ft. pontoon boat that holds 42 passengers and 2 crew members. Check your calendars and plan a trip with us on our completely renovated and renamed motor vessel! You’ll be glad you did!